Jacquard Shawl – Wholesalescarvescity.com was founded in 2015 and located in New York City, NY. We hope to be your one-stop shop for all of your wholesale scarves needs. Such as wedding events, charity, reselling to customers, props etc. We offer a variety of color and pattern of scarves, pashminas, and shawls at a discounted price if purchase in bulk, from 8-18% OFF!! Click Here for more detail regarding to bulk purchase discount. We value your business and look forward to serving you with the highest quality materials at the lowest prices available. If you want to buy today a Jacquard Shawl don’t hesitate to contact us. 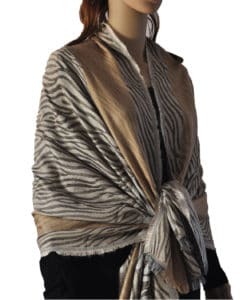 Wholesalescarfcity.com extends a wide range of Pashmina Scarf and the best and most liked design includes the Jacquard shawl with paisley design on it. These alluring pieces look great with both formal as well as casual outfits. Moreover, the Jacquard shawl is a perfect gift for the special lady in your life to keep her as warm as your love for her. It is one of the warmest and softest gift item you can think of.